The gallery’s new space is opening tomorrow. The facade of the gallery has a temporary installation of work by S Mark Gubb, a Cardiff based artist. 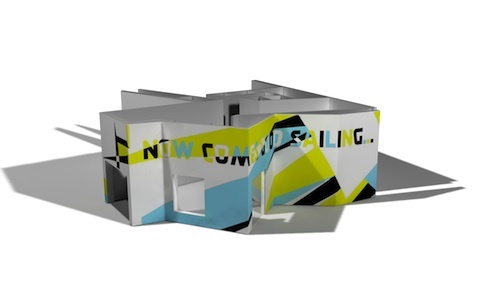 Gubb’s installation is called Good Sailing and incorporates dazzle camouflage. This entry was posted on November 4, 2011 at 2:03 pm and is filed under News with tags art, artists, camouflage, dazzle. You can follow any responses to this entry through the RSS 2.0 feed. You can leave a response, or trackback from your own site.